If we missed something or did not meet your expectations, we will come back and make it right. Your satisfaction is our number one priority! Home cleaning – windows – carpet – more. If we missed something or did not meet your expectations, call us. We will come back and make it right. Your satisfaction is our number one priority! We will make your home or office sparkle and shine! Residential & Commercial. Hand off your most difficult chore to us and reclaim your Saturday! 24/7 Emergency water damage services. Your satisfaction is our #1 priority! If we missed something or did not meet your expectations, we will come back and make it right. 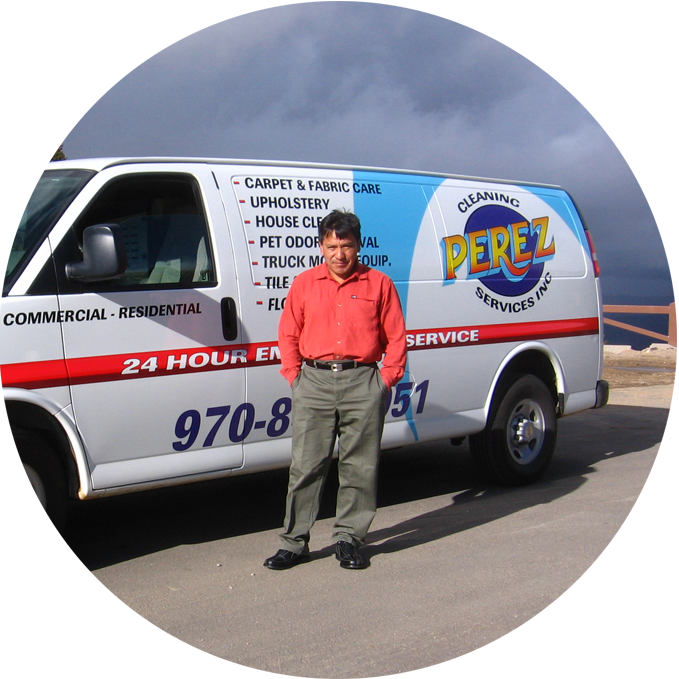 Perez’s team of professionals is locally owned and operated by Leyda and Ernesto Perez. 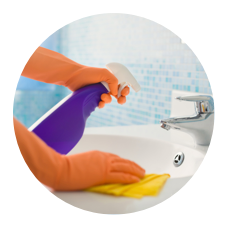 We use only all-natural products to keep your home clean AND healthy. Owner/operators Leyda and Ernesto Perez have built a solid reputation as Steamboat’s most reliable cleaning service. They are committed to providing quality service to the community they love. They believe that a reputation as an honest and reliable business is the recipe for success. Leyda and Ernesto have worked hard to build their life in Steamboat from the ground up. They have 2 children, Jonathan and Bianca, 1 black lab and 1 fluffy white cat. They enjoy skiing and the mountain lifestyle. Residential Cleaning: Choose your frequency and needs. Maid service also available. Commercial and Construction Cleaning: Choose your frequency and needs. Carpet Cleaning: Help us protect your investment! Tile & Grout Cleaning: Tile is a durable flooring choice, but often needs professional cleaning to retain its beauty. 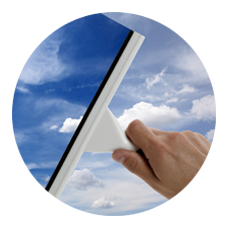 Window Cleaning: Leave this tedious task to our insured professionals! Water/Flood Damage: We offer 24/7 emergency water damage services. Call 970.846.1051.